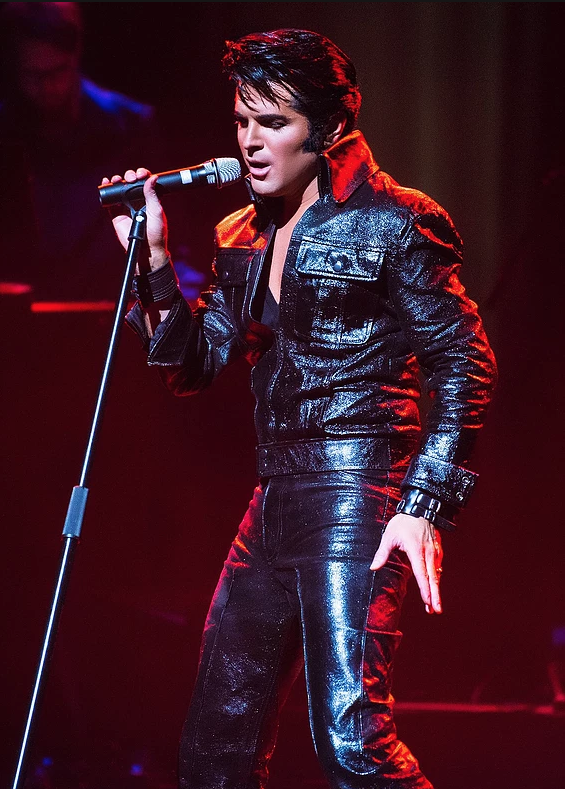 Dean Z is bringing his Elvis tribute act to Prince Albert on April 9. Photo courtesy Dean Z. One of the best Elvis tribute artists on the planet is coming to Prince Albert. Dean Z is performing his show One Night With You at Plaza 88 on April 9. Dean Z is a world champion ultimate Elvis tribute artist, winning the title sanctioned by Elvis Presley Enterprises in 2013. He’s been excited by the King’s music since seeing the documentary ‘This is Elvis’ when he was just 3. He jumped on top of the table and started trying to imitate Elvis’ every move. “Kids like to play baseball or play hockey. My pastime was singing Elvis music,” he said when reached by phone Wednesday. The show Dean Z is bringing to Prince Albert follows Elvis’ early career. It’s named after the famous song, One Night With You. “In that show, I cover Elvis’s most electrifying parts of his career,” Dean Z explained. He covers the 1950s, the early songs performed on the Ed Sullivan Show and other variety programs when what he was doing was considered risqué for television. The show also coves some of the songs in the Hollywood days, when Elvis was making movies in the 1960s. the show finishes with Elvis’s big return to live performances. Dean Z said that many Elvis tribute artists focus on the Las Vegas days, known as the jumpsuit era. “In order to stand out, our idea is to keep it in Elvis’s youth,” he said. The show isn’t designed as a legends performance, which means Dean is performing as himself. He’s not pretending to be Elvis. “That allows the audience to relax and not feel any sort of tension in trying to suspend disbelief that they’re not watching the real thing,” he said. Dean Z said that approach helps him connect with his fans, something his idol did very well. “Elvis took so much pride in giving back to his fans. He kind of lived his life revolving giving back to his fans,” Dean Z said. For Dean Z, the best part of performing the music he loves is how it impacts people in the audience. “Elvis’s music is generation-less,” he said. “I like bridging the connection for the younger audience of why Elvis is so special, and for the older audiences, I like to watch…the years melt away because the music brings them back to their youth. As they leave, they might have more pep in their step. Tickets for the Dean Z Elvis tribute show can be purchased at www.etixnow.com or by calling 1-888-790-1477.